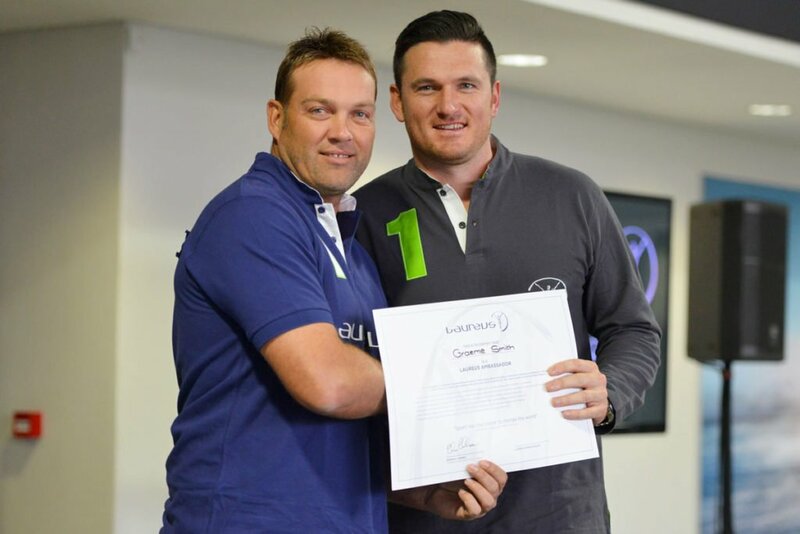 Graeme Smith, the most successful captain in South African cricket history, has been named the latest Laureus Sport for Good Foundation Ambassador, joining an impressive list of sports icons who have become members of the Laureus Family. Smith made his debut in 2002 and was appointed captain a year later at 22 years and 82 days, making him the youngest ever. He became only the second South African to complete 9,000 runs in Test cricket and was still captain when he played his 100th Test match. Morné du Plessis, Chairman of the Laureus Sport for Good Foundation South Africa, said: “Graeme enjoyed one of the most remarkable sporting careers as the youngest captain to represent our national team. He possesses the sort of leadership qualities that we encourage youth to aspire to, both on and off the field. We are certain he will be a great addition to the Laureus Family”. The announcement was made in the presence of Smith’s long standing team-mates Laureus Ambassador Jacques Kallis and Mark Boucher, at the final breakfast event in a series of sport inspired events hosted by Mercedes-Benz and Laureus throughout 2015. Earlier this year, Mercedes-Benz and Laureus South Africa announced a partnership, in which Mercedes-Benz invested 3 million Rand into the work of the Foundation there.